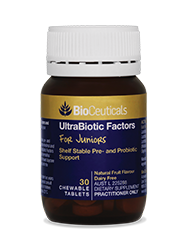 UltraBiotic Factors for Juniors contains a potent blend of pre- and probiotics to help maintain healthy gastrointestinal and immune function in children.The ingredients may provide symptomatic relief from mild eczema/atopic dermatitis and may reduce the number of days missed from school/daycare due to the common cold. 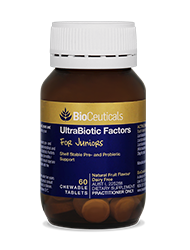 15 billion CFU per tablet, with strains specifically chosen for their benefit to children’s health. May assist in the management and relief of symptoms of mild eczema. 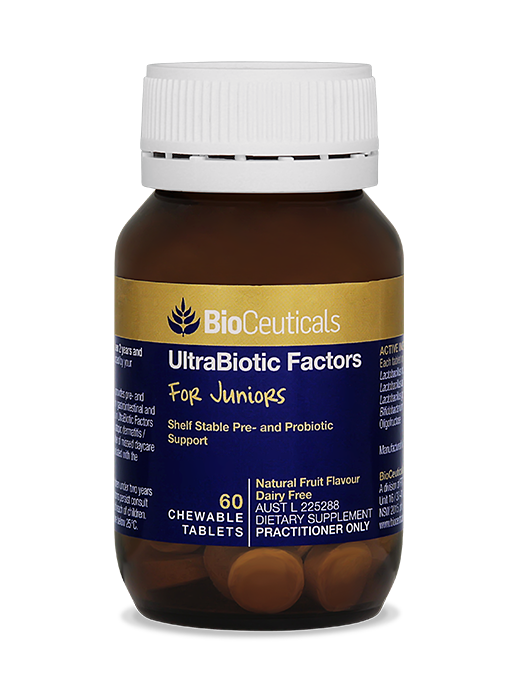 May reduce the incidence and duration of symptoms associated with the common cold and mild upper respiratory tract infections. May reduce the number of days missed from school/daycare due to symptoms of the common cold. Natural fruit flavoured chewable tablets. Naturally sweetened with tooth-friendly xylitol. 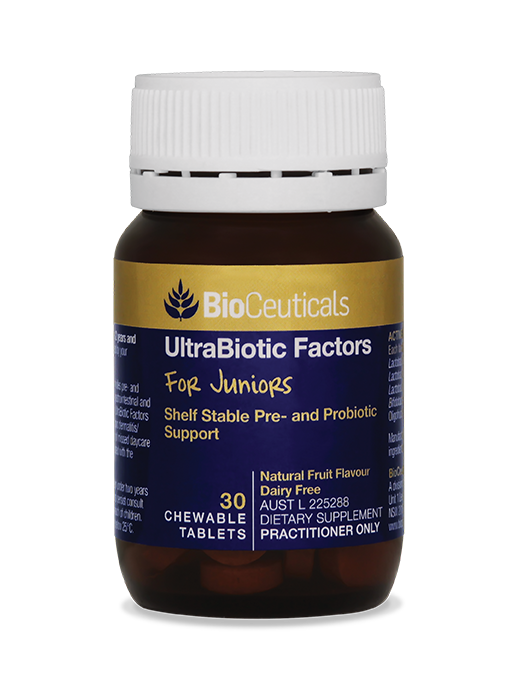 Children 2 years and older: Chew 1-2 tablets daily or as directed by your healthcare practitioner.